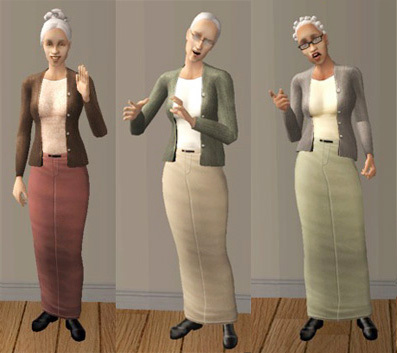 A set of seven recolours for your conservative elderly sims. I removed the metal things (whatever they're called) on the belt to make them more "generic"/timeless, otherwise they're exactly the same as the Maxis texture. Hope this is useful. The mesh came with the base game -> no expansion packs needed. *Update. Please redownload. 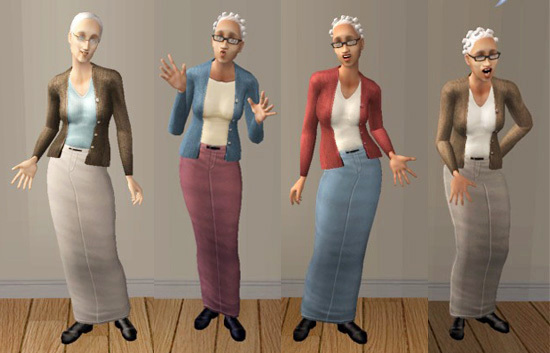 * Blouse and Long Skirt for Elder Ladies. Seperates.